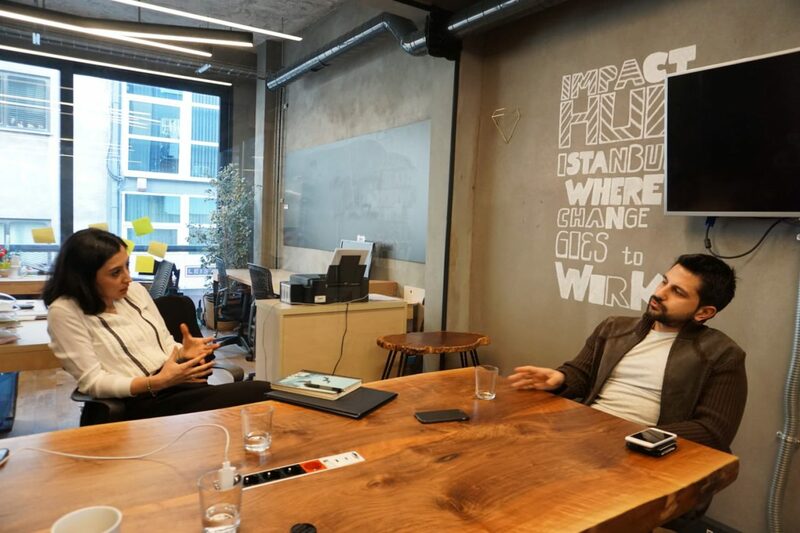 While we have just embraced the terms "entrepreneurship", "enterprise" and "start-up" and begun to consider "entrepreneurship" as an honorable profession, we have discussed with the co-founder of Impact Hub, Semih Boyacı, a new term that we begin to hear often in recent years: "Social Entrepreneurship". From my view and also Impact Hub’s view, social enterprises offer a solution with a sustainable financial model for a defined social or environmental problem. They design a system that adds dynamics of business into the solutions of social problems. It is same like how a business entrepreneur sees an opportunity in the business world and creates a system that can generate income there, also a social entrepreneur produces a model that will solve a social problem with market-based approaches. Since this model generates income for itself, the system can maintain and grow without any dependence. There is not a precise definition of what a social enterprise is in Turkey, but this is not specific to Turkey only, there is no definition in the world agreed by all either. That is why my opinion is that if something is not able to be defined for years, if there is no precise definition agreed by all, perhaps there should be no specific definition and our goal should only be agreeing upon fundamental principles maybe. 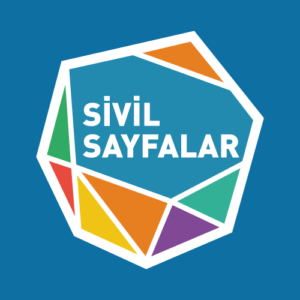 How do you see the society’s perception for social entrepreneurship in Turkey? There is still a common opinion of “a social enterprise can not make money, it should not” ongoing in Turkey, I think the ecosystem forces this opinion. As the social entrepreneurs have the purpose of making money, sometimes they are treated as if they damage something “holy” and they are judged like “You should not make money from social purposes”. Besides some of the investors are afraid of this opinion too, they do not want to get into this field because they do not want to be known as they made money from a social purpose. I see this opinion as a major obstacle against the development of the ecosystem. There are also those who think investment chances will decrease if they introduce themselves as a “social enterprise”. I know entrepreneurs who avoid using the term “social” just because of an accustomed opinion in the society as “Social enterprise does not make money, it should not”. Is there any difference between Turkey and the other countries regarding the perception of social entrepreneurship? For example, the legal category of social enterprises in the UK is “community interest company”. There are many companies founded by this definition. In England, especially in the public sector, municipalities and other public institutions know the social enterprise concept very well, their perspective for social enterprises is “these enterprises create sustainable solutions for many social problems and solve them independently, they lessen our burden, so we should support them.” We do not have this perspective here, yet. Perception of social economy has pretty much been settled in most of the European countries. Consumers prefer products and services sold by social enterprises. We are not at such point, we do not consider social or environmental impact thereof while making purchase decisions. We even think that a product is probably expensive if it is “organic” or “ecologic”, and I believe it is not good if this point of view is settled in the society. Therefore, we should encourage models that can compete with the other products (inorganic or non-ecologic ones) in the market. Do you think the corporate structure plays a role in the progression of a social enterprise? Today in Turkey, a social enterprise can be created in different corporate status. It may be a commercial enterprise established under an association, as a cooperative, or as a real person or a corporate company. They all have advantages and disadvantages. The biggest limitation in such structures other than companies is the scaling of the structure / model. For example, if you are a commercial enterprise affiliated with an association (dernek iktisadi işletmesi), you cannot get an investment. It is because investors aim to become a partner / shareholder in the enterprise with their investment, but an association’s commercial enterprise cannot get a third party shareholder, according to Turkish law. Therefore, you need to be established as a company to get an investment. This does not mean for sure that the best model for a social enterprise is to establish as a corporate company as I also think that a commercial enterprise or a cooperative under an association is very valuable for the society. For instance, a model for women employment established in a rural area would not be an ambitious model in terms of scaling, but it is a very important model regarding the community in which it is founded. Sometimes we see that there is a constant growth pressure on enterprises, but it is not a true way of encouraging, because each model is worthy, small or large does not matter. Our topic is social enterprise here but we need to say some ideas or models should not or cannot be found at all as a social enterprise. For example a model related to human rights or LGBTI rights cannot be adapted into an income model. When you look from the social interest perspective, we cannot say social enterprise is better than other civil actors. All are important, I think we need to highlight this. Sometimes we hear sayings like “social entrepreneurship is the only way to contribute to the society”, I disagree this, I see all of them beneficial and even crucial for the society. Moreover, the ability of civil society organisations to bring the problems to the surface is more obvious. In other words, I think it is more effective for civil society organizations to identify the problem since it is their job, and social enterprises to find a solution to such problem on the surface since their task is to find solutions to the problems posed by civil society. Therefore, I believe that if the two parties work in coordination with each other, it will be more effective for creation of any social benefit and / or social impact. What do you think can be done in the name of strengthening the social enterprise ecosystem in Turkey? In fact, there are things that can be done by both supportive mechanisms and entrepreneur candidates. On an individual basis, I think what everyone can do is to try to develop a habit of thinking of sustainable business models to solve social problems. This is a habit, the more people start to think in this way, the better will be done at the end of the day. Support mechanisms as well as funds like accelerator programs (incubation programs) are valuable too. It would be good to increase the number of programs that provide some competencies and thus simultaneously lifting a social enterprise both financially and also capacity-wise. Success stories in countries like Turkey have been always very important for the visibility of this area, that is why we need to increase the awareness. I find the example of “Fazla Gıda” precious in this sense, because it creates in many people a feeling like “I can do this too”. I find very valuable those people who worked in corporate companies for a couple of years or more, and gained some experince there, then entered into this field, because such experience works here and help really well to them. Assuming that one produces a B2B product today, I think it would be faster and easier for such person who knows how to talk to a corporate company, how their budgeting processes work, how KPIs are run etc. to sell his products to those companies. Therefore, people who have ideas and enthusiasm for this field should be encouraged. Well, if these people were defined, support mechanisms for them could also have been created, but these people are not defined. Who is this group of people who wants to do creative social work, but cannot take the first step? I think the most potential is here. These people need to be channeled into social entrepreneurship. What I said here happened in commercial entrepreneurship if you look at it, we need the same thing happen in social entrepreneurship too. Finally, what are your suggestions for social enterprises wishing to survive? First of all, they have to think about who will buy the product and / or the service that they are about to sell. Any product or service made without thinking this can not be successful as a social enterprise in my opinion. Maybe they get a couple of grants, but then they cannot go on. Modeling needs to be done well from the very beginning, and instead of being dependent on grants, it is necessary to focus on a regular income around a model. Grant issue is too vague, especially if we look at Turkey in particular, I believe no one should not be relied upon to grants when hitting this road. The most important issue in a business model for a social entrepreneur is not investment, I think this is a crucial point that needs to be understood very well, the most important factor is the customer. Customer is more valuable than investment. You cannot find any investment when you do not find a customer, but you can find customers without any investor. I think it is wrong to focus on finding investment all the time, so I think we need to think more about finding customers. ÖncekiAnlatan Elleri İle Çubuk Kraker'in Yolculuğu Devam Ediyor!